Whether you're looking for work or training, or planning a career change, it can be difficult to make sense of what’s out there. That’s where My World of Work comes in. We're designed to help you think through your options. Start with our Strengths quiz. It'll help you understand more about what you do well and what you enjoy - meaning you'll be able to make informed decisions and more likely to find a job that suits you. Take your next step with confidence - our end-to-end support can help you throughout every stage of your journey. Find out what you do well, what you do often and what you enjoy, and discover what jobs could suit you. Know what you want to do? We can guide you on the way - whether that's through further learning or training, or going straight into the world of work. With all the information you need in one place, it's easier for you to find what you're looking for. Don't miss out - sign up now. 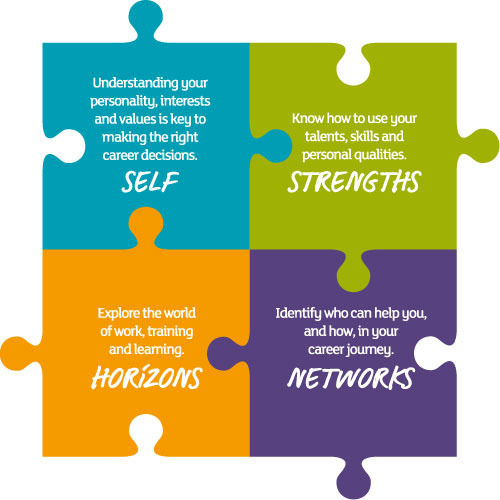 As Scotland's careers web service, we're here to help everyone - including you. But if you'd prefer face-to-face support, we understand. We have careers centres throughout the country, and advisers ready to offer guidance. Use our centre search to find your nearest centre or call 0800 917 8000 to book an appointment.